His story begins in a small town in Missouri. He came of age during the Great Depression, and left to join the Navy. While living in southern California, he met Dawson Trotman, founder of the Navigators ministry. Trotman had led five of Downing’s shipmates to Christ, and through their influence he became a believer also. In 1941, Downing was stationed at Pearl Harbor. 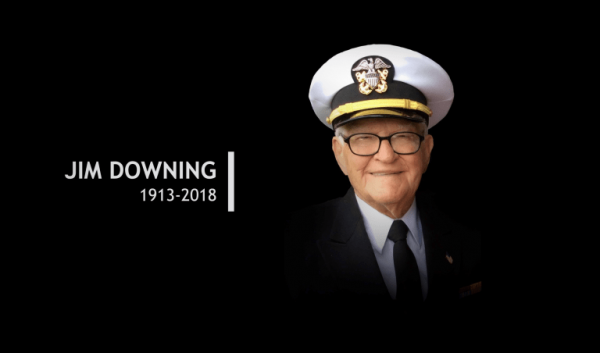 He was the ministry leader aboard the USS West Virginia, and hundreds of his shipmates had become followers of Jesus. In December, he had been married to Morena for five months when their world changed. The attack on Pearl Harbor forced her to evacuate for the mainland on Christmas Day. They were apart for 18 months. But he had more to do. In1956, after 24 years in the Navy, the Navigators asked Downing to take a leadership role after the tragic death of Trotman. He and Morena served the Navigators until and beyond his retirement in 1983. The last few years of his life, he emphasized relationships with God, family, and friends. “I’m satisfied as long as I can have those three things,” he said. Retired Navy Lt. 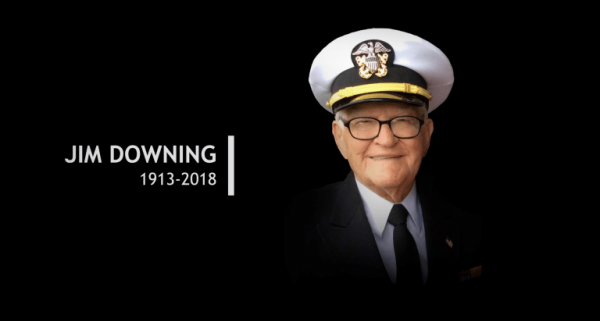 Downing lived life well, faithful to this truth: “I do not consider my life of any account as dear to myself, so that I may finish my course and the ministry which I received from the Lord Jesus, to testify solemnly of the gospel of the grace of God” (Acts 20:24).